The artistry jumped out. Stop teasing and drop another Teenage Dream. Talent recognizing talent. Whats new. This clever beach. 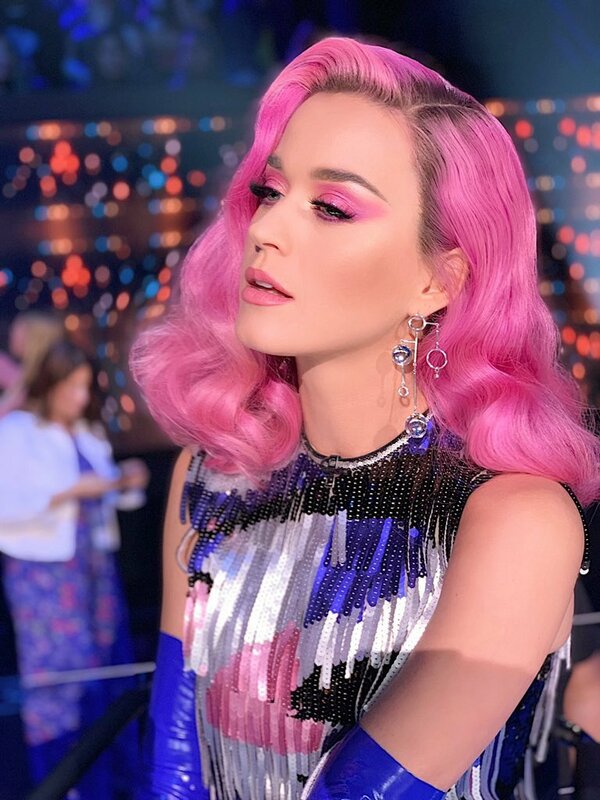 She is giving looks only during AI so KatyCats and gheys would watch it. The fact that 3 more inches make gays happy. Sometimes you win. Is there some tonight's look avi? what was that abomination, wokety would be so ashamed! Girls, what is the meaning of this. 2 straight looks(that we ant) and it's just too good to be true. KP5 is coming? It's not a myth anymore? Katy has started to fight back and come through once in a while. The fact that each single was giving us a different era. Like, some artists keep the same look, attitude, personality through the entire album cycle and Katy with each single was giving us different look, image and entertained us in different ways. New girls can't even relate bcuz they all are so boring and one dimensional. So what that they have bops when they looks and music videos are always the same. Yes, our girl shapeshifted for the arts and caused some tour reviews asking who she is because of so many looks and ways she can present herself. 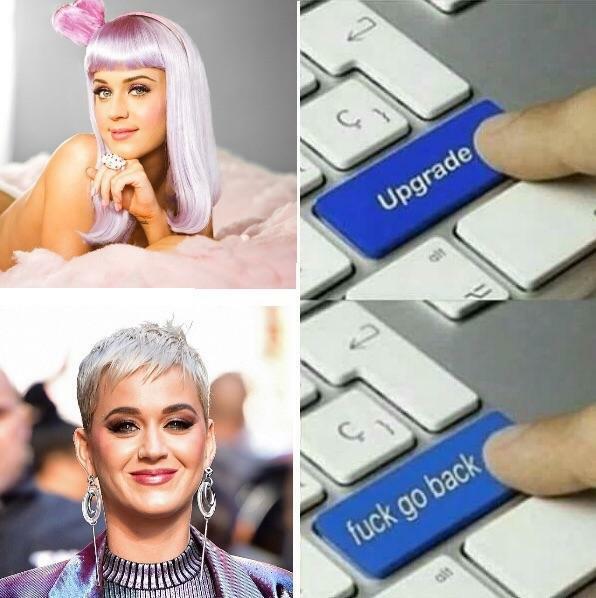 Perhaps that functionality of her was fried/damaged in last 2 years or wasn't good for her mental health and she shapeshifted between the many forms of Katheryn. Let's hope that the swing role is coming back online (switching between roles in flight instead of lengthier process of screwing out/in modules by the ground crew), she was that advanced. Not just the new girls, we have seen the girls having a 10+ year career also stuck in 1 role/configuration once the era has started. Katy can scare the life out of them by shapeshifting in flight because they are stuck in 1 role/configuration and know that there is nothing they can do about it. Like the literally meaning of "lijdend voorwerp" in Dutch. The direct object of a sentence is the thing being acted on by the verb. In the sentence, 'Lee eats cakes,', the word 'cakes' is the direct object. Calling someone a "lijdend voorwerp" means that person is suffering like the cake that is being eaten (and can't do a thing about it). I’ve started to get use to her pixie blonde cut and have somewhat accepted it; but when she pulls wigs like this out - i don’t understand why she doesn’t want to look her best all the time. Long really suits her - and that’s a fact. She literally looks incredible here. It's called Stockholm syndrome. You've been exposed to the short hair for such a long 2 years that what once seemed horrific and inescapable is now the new norm, and others attacking it seemed wrong, causing you to defend. It takes some major trauma or trigger, jolting you back to a time before Stockholm syndrome took hold, before you realise what everyone knew all along. Katy with long hair is simply a deity, with short hair is like an abusive relationship you can't get out of and try to stop others from pulling you out of it. WTF she looked absolutely amazing on Idol, has she come back to her senses?